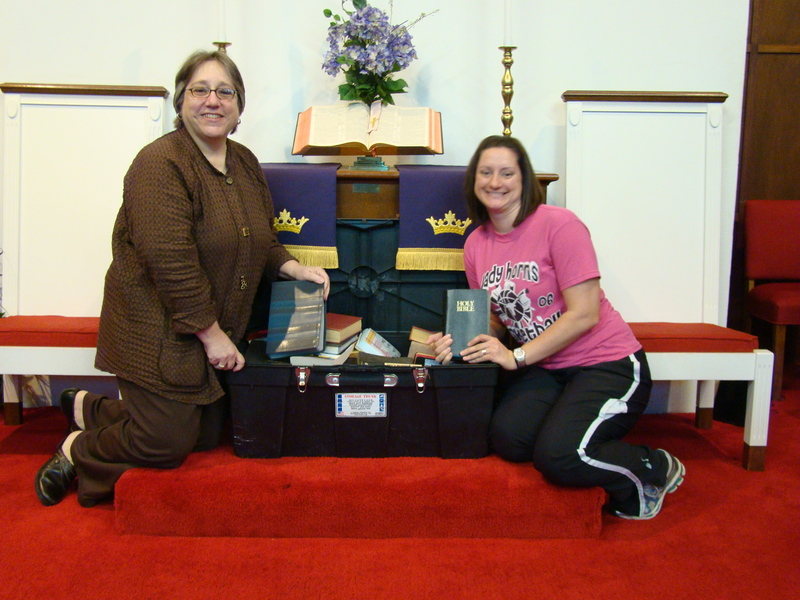 Sandra accepting the bibles that you donated for the people of Ghana. Thank you for your support. 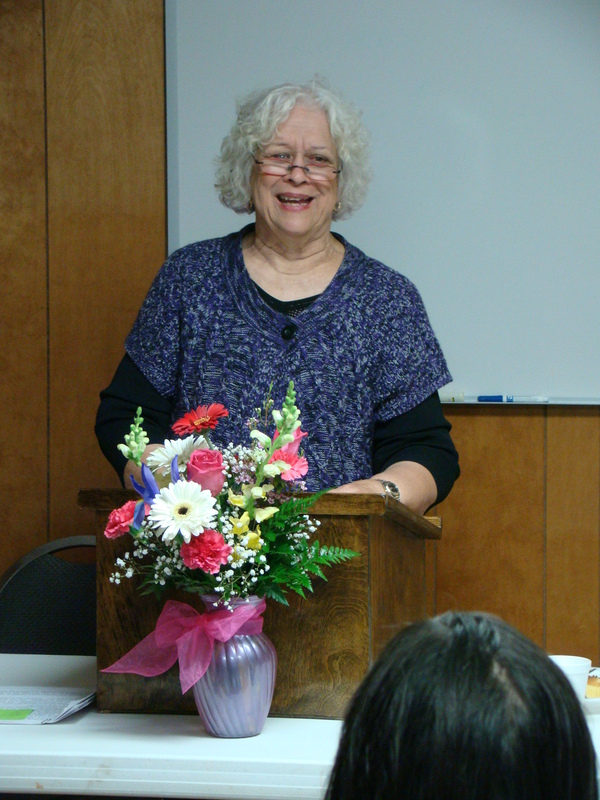 Joyce Hancock – East District UMW President presented the program “Influential Women of Texas”. 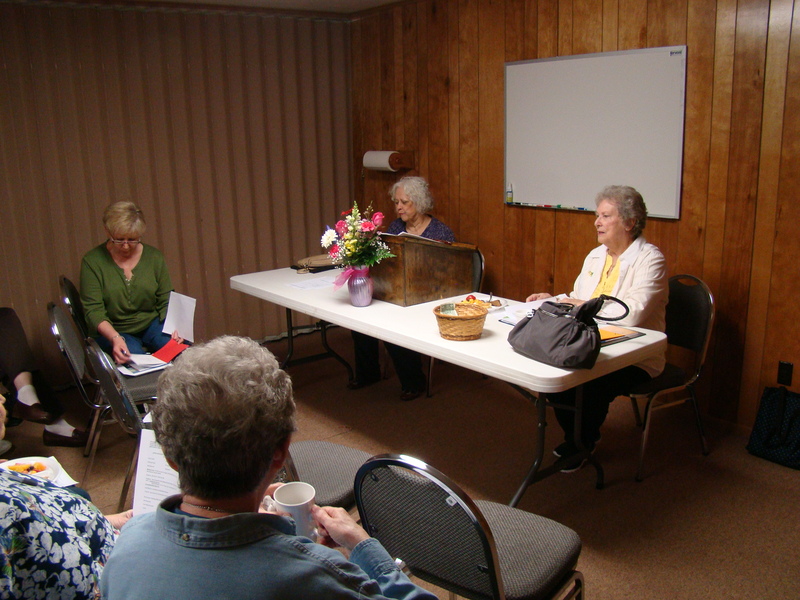 She provided a brief bio of “Lady Bird” Taylor Johnson, Miriam Wallace “Ma” Ferguson, Anna Raguet, Karen Marcus Neiman, Oveta Culp Hobby, Ninfa Lorenzo, and Laura Bush. Excellent program. 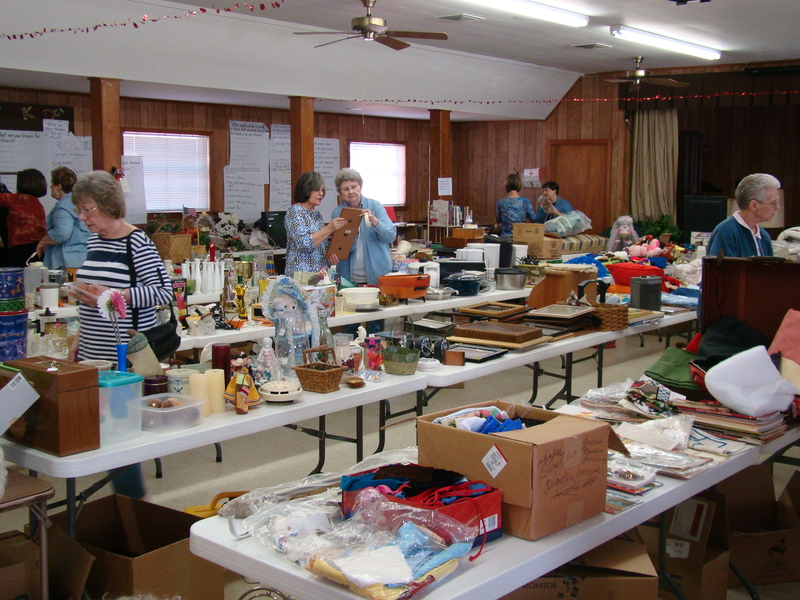 Will hold their Annual Rummage/Bake Sale on Friday, March 2, from 8:00 am until 4:00 pm and on Saturday, March 3, from 8:00 am until 12:00 noon. We will be featuring delicious baked goods (including Larry’s homemade bread), cookies, cakes, candies, pies and anything else we can think of. Cookie Plates ( 2 to 3 dozen per plate) can be ordered through Sherry Lindsey, at 409-579-4200, or by calling the Church Office at 409-787-2183, between the hours of 8:00 am and 2:00 pm. We will be taking donations of items beginning Monday, Feb. 27, during Church Office hours, 8:00 am until 2:00 pm. 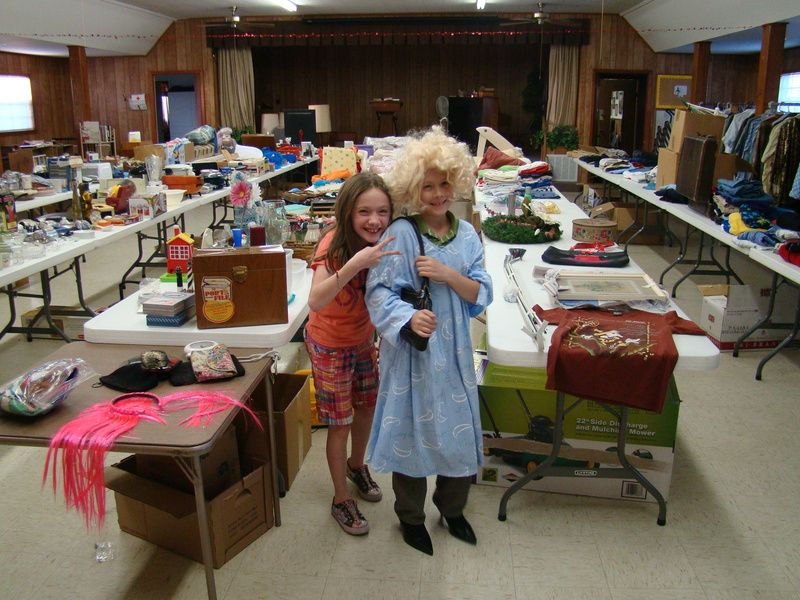 Please consider donating your gently used/worn items to our Rummage Sale. Anything you would like to “get rid of” would be greatly appreciated by our group. We will also feature our “Fashion Corner” with special items such as “designer” clothing, accessories, shoes, etc. We always have a good selection of “better” clothing, sometimes even evening wear and coats. If you have things that you no longer wear, or have just grown tired of, this is a great place to take them to get them out of your closet. We always have premium household items, such as dishes, pots and pans, appliances, and some pieces of furniture. You will find some great bargains. Our prices are unbelievable. We want to sell out! Come by and browse. Have a cup of coffee and visit with your friends. We made it to Nederland without any problems! There is a new “sign-up” sheet in the Fellowship Hall. If you would care to provide snacks/dinner on a Sunday evening for UMYF, a “sign-up” sheet is posted on the Youth Bulletin Board. We have been averaging around 12 to 15 youth each Sunday evening. 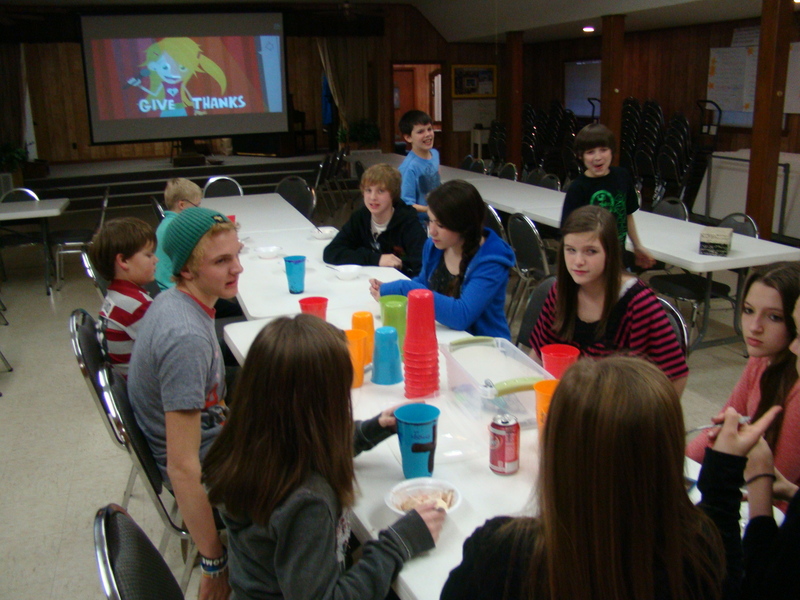 The youth gather around 5 pm and then snacks/supper is served anytime between 5:15 pm to 5:30 pm. Your support would be greatly appreciated by our Youth. The winter of 2003 followed a very dry summer and subsequently high hay prices in our area — about triple what we usually paid. When we fed our livestock, we carefully doled out every blade of hay, making sure none was wasted. Faithfully we prayed for water, more snow, and rain in spring. Just as I prayed for God to supply our daily needs, I began to pray for the wild deer. The winter had been harsh; food was scarce, and lots of ice made it difficult for deer to find food. God answered my prayer in an unexpected and unwelcome way. The deer began to eat our very expensive hay. No matter how we covered the hay, the deer somehow always managed to find it. Then I began to pray for God to keep the deer from eating my hay. How ironic! I thought. Earlier I had prayed for God to give them something to eat; now I was asking God to do so in a way that would be of no cost or consequence to me. I was ashamed to think how many times I had asked God to meet a need that I was unwilling to help with. God used those deer (that to this day live on our farm) to teach me to put my money where my mouth is. Asking is easy; giving is much harder. I no longer see the deer as a nuisance; I see them as reminders of God’s faithful provision. The 18th Annual Hemphill Lions Club Talent Show will be held at 6:00 p.m. on Saturday evening, March 10 at the Hemphill High School Cafetorium. Cash prizes in each music age group (0-11, 12-17, 18 and up), as well as a separate category for Specialty Acts. 1st Place: $100, 2nd Place: $50, 3rd Place: $25. If you know of anyone who would like to enter the talent competition, have them contact Lion Jim Nethery at 409-787-2777 ext. 22. 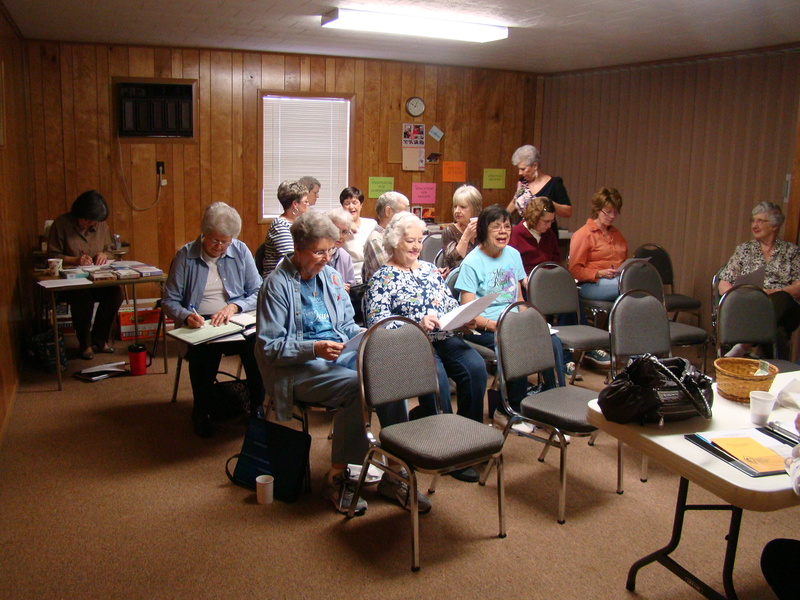 Contestants can come from anywhere – not limited to just Sabine County and Hemphill residents. 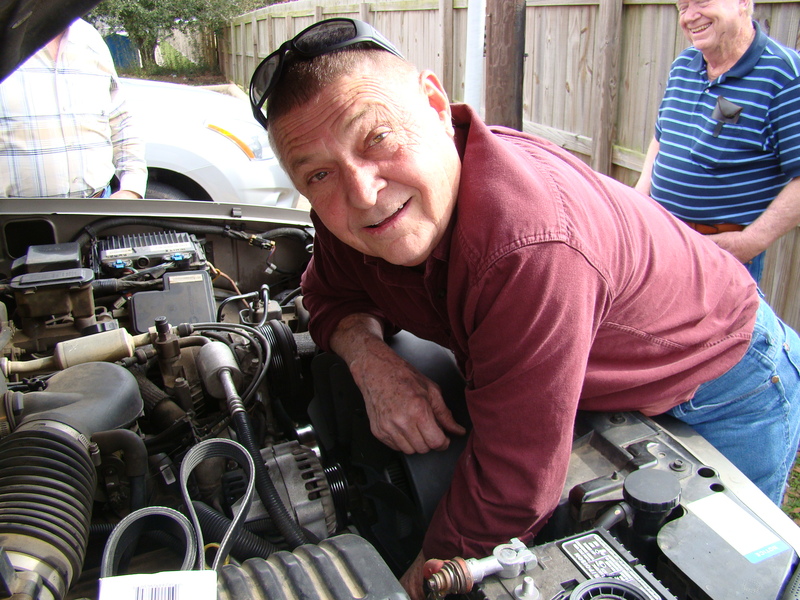 You are currently browsing the fumc hemphill blog blog archives for February, 2012.